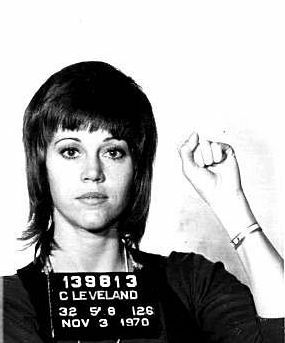 Who Needs to Get a Life, Hanoi Jane? She clings to the canard that all she did wrong was succumb to the moment, posing for a very inflammatory set of photos of her sitting at an anti-aircraft gun. The below video should explain why her actions are considered “treasonous” by us and that it goes much further than those photos. TREASON: The betrayal of one’s own country by waging war against it or by consciously or purposely acting to aid its enemies. Hanoi Jane Fonda is at it again. She just can’t shut up and fade away to the cesspool of herself. And as expected, being a leftist loon, she plays the victim over her treasonous activities long ago during the Vietnam War. In her latest rant she cries, “I Will Go to My Grave with Unforgivable Mistake,” the “mistake” being the infamous photo of her sitting at an enemy anti-aircraft gun in North Vietnam taken during her 1972 visit to the communist nation while our Troops were engaged in war against the Communist North Vietnamese. If ever anyone wonder why so many of us Vietnam Veterans still harbor ill will against this woman, a excerpt from a speech given sometime in the early 1970’s at U.C. Berkeley where students in attendance applaud her claim of 34 American B-52’s being shot down by the Communist North Vietnamese. That is a potential of 170 American Servicemen killed.